This sociological study of the way Hollywood has portrayed Asians throughout history is needed information for anyone who cares about prejudice and discrimination in the world. Asians have been present in the United States for centuries. Yet, for much of this time, many people imagined them as “foreigners” regardless of their citizenship status. One reason for such an incorrect conception of Asianess arose from what people saw of them on film and television screens. Hollywood often went out of its way to encourage acceptance of prevailing stereotypes of Asians in the public mind. 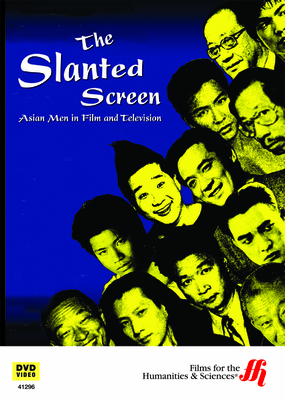 This documentary DVD, which was also a national PBS episode, explores the way movies and television presented Asian men to audiences. For example, we learn about the use of Caucasians painted over to seemingly appear Asian. Known as “yellow facing,” this practice usually had a negative effect. If nothing more,“yellow facing” prevented actual male Asian actors from earning a living at their craft. At the worst, it legitimated prejudiced images of the race. Viewers of this DVD receive a century-long history of Asian men in film and television. As an extra treat, film buffs get to enjoy 50 video clips rarely before seen.